Welcome to ‘BEARY COZY’ log cabin in the heart of Lake Lure, North Carolina. 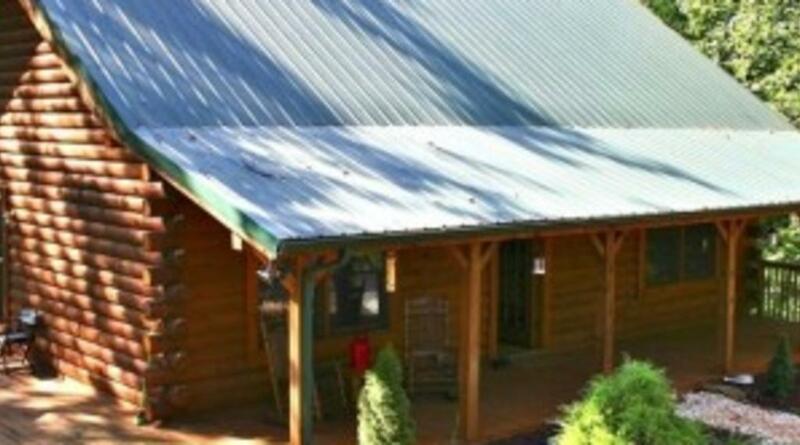 This log cabin is located in the private gated community of Riverbend, (See Riverbend Page for more info.) While staying in our cabin you will enjoy two private lakes with beach, picnic area, play ground, water fall, fishing and much more. We have also added a kayak for you to paddle around and enjoy Mirror Lake!!!! The main floor houses the great room with cathedral ceiling, a gas fireplace, comfortable couch, two reclining chairs, DISH TV, and entertainment center. The dining room seats 6 very comfortably. Cook to your hearts content in the spacious and well equipped kitchen. The large second bedroom has a queen size bed, dresser, mirror, comfortable chair and closet. A full bathroom is also on this level. Walk out through the French doors and enjoy the deck with the outdoor dining area, whether you want to cook out on the gas grill or just enjoy a cup of coffee in the morning (look around and don’t be surprised to see deer and wild turkey). Sit out on the front porch and enjoy a fresh glass of lemonade on the rocking chairs, grab a book, maybe relax on the swing or just gaze at the spectacular night stars. As you walk up the stairs you will see the loft with its day bed, desk and chair, and reading area. Do you feel like writing a note? Taking a short nap? Snuggling with a book away from the rest? This loft is just for you. Also on the second floor is the master bedroom, with a queen size bed, dresser, walk-in closet and private master bath. Both bathrooms have combination bathtub and shower. So whether you want to relax in a soothing bubbly soak or a quick shower, your needs are met. The entire log cabin is equipped with ceiling fans in every room. Hardwood floors through out and wood walls give this cabin a warm, ” beary cozy” feeling you can only find in a log cabin. The entire cabin has been decorated tastefully to give all who enter a warm, relaxed feeling with a lodge theme. 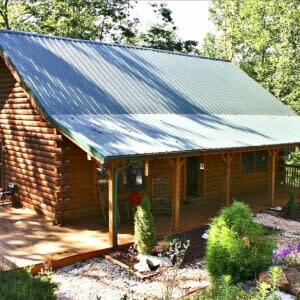 Nestled in the mountains of Western North Carolina the cabin may be enjoyed all year round. Spring time will show case the beautiful flowers in full bloom, azaleas, dogwood, verbena and lilies. Summer is time to play by day and relax at night. Enjoy the full burst of color as the mountains tell us it is autumn. No matter what time of the year you choose, you will feel right at home in Beary Cozy, just bring a few groceries, your toothbrush, friends and family. It’s time to get beary cozy!